Initially starting life as a humble loom works in a Japanese seaside village, the now multinational corporation has become one of the biggest producers of cars, bikes and other motor vehicles in the world. With founder Michio Suzuki's new weaving machine design being celebrated and purchased internationally since 1929, the company rapidly began expanding into new territory, starting to model a series of prototype cars in 1937. Vehicle manufacturing had to stop soon after however, as the company's factories - some of which were unfortunately destroyed during the Second World War - began to be used by the government for war efforts, while personal vehicles were declared an unnecessary luxury and not worth producing. Safe to say, those were different times. Suzuki, however, continued to thrive in the loom industry, though Michio-san never forgot his automotive ambitions. 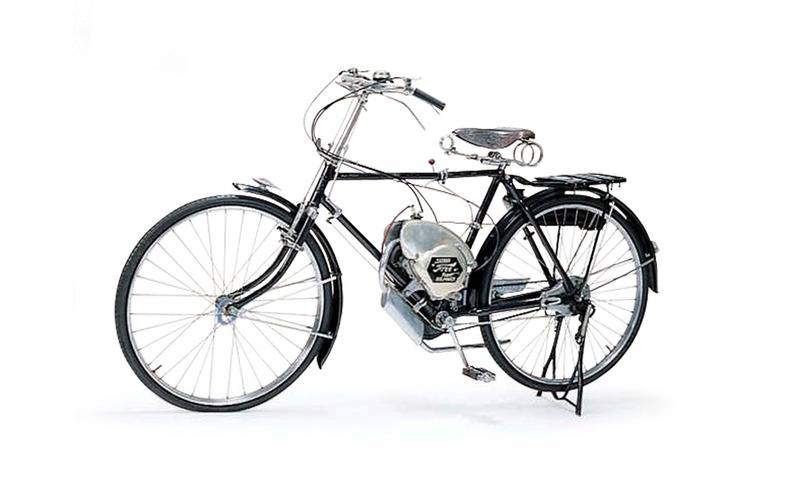 The company dived back into vehicle production, releasing the 'Power Free', their first motorised bicycle - in 1952. The famous 'S' - still used on all Suzuki products today - made its appearance shortly afterward, in 1958. Just a decade after the release of their first motorbike, Ernst Degner rode Suzuki to victory by winning the company's first Grand Prix championship. What followed was classic after classic - 1965's T20 Super Six skyrocketed Suzuki to international acclaim, while 1985's GSX-R750 and 2005's GSX-R1000 ensured Suzuki were setting new standards of motorbiking for every generation. In between, of course, were a number of tournament wins, and a steady stream of successful cars have accompanied Suzuki's stellar motorbikes throughout the years. The Suzulight 360cc debuted in 1955, helping spearhead Japans' age of mini-vehicles - the car measured just under 3 metres long. Today, Suzuki continue to innovate - their new SHVS hybrids (Smart Hybrid Vehicle by Suzuki) improve fuel economy by generating electricity through regenerative braking - reducing CO2 emissions, and saving customers money. Suzuki continues to sell millions of products annually across the world, with Maruti Suzuki - the company's Indian branch - alone aiming to sell 2.5 million vehicles a year by 2022. From humble beginnings to numerous world-class tournament titles, to continued innovation and international success, Suzuki has proved time and time again the importance of passionately-designed, meticulously-crafted vehicles in the industry. Suzuki will continue to inspire, and you can rely on Glovebox Direct to continue stocking the OEM parts you need. What's your favourite Suzuki model? Let us know at @GloveboxDirect on Twitter or tag GloveboxDirect on Instagram!